Sevastopol (also spelled Sevastopil, Sebastopol, Sebastopil) is a city, seaport and railway station located in Crimea, in the southwestern part of the Crimean Peninsula, on the southern shore of the long, narrow Akhtiarskaya Bay, which forms a magnificent natural harbor. 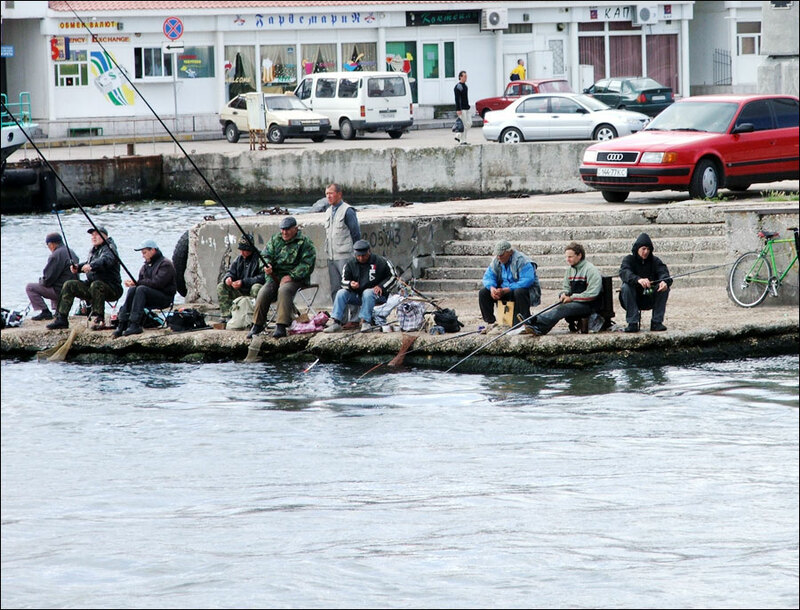 The population of Sevastopol is about 430,000 (2016). Local time in Sevastopol city is April 21, 5:17 pm (+2 UTC). 9 April, 2014 / Chersonese lighthouse in Sevastopol. 10 June, 2013 / The remains of ancient city-state Chersonese at night time. 18 April, 2013 / Invasion of jellyfish in Balaclava. 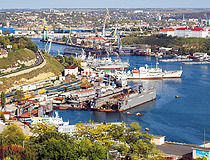 The current status of Sevastopol is disputed between Ukraine and Russia. De facto, it is controlled by Russia as the entire Crimea. On March 16, 2014, a referendum was held and the results showed that the majority of the Crimeans voted for independence of Crimea and joining Russia. However, the legitimacy of the referendum is questionable. Sevastopol historical heritage is very interesting. It was founded on the territory of antique Chersonese, where, in 988, Kievan prince Volodymyr was converted to Christianity. The city stands out as the place of imperishable orthodoxy teachings of Apostle Andrey and traditions of the creators of the Cyrillic alphabet Cyril and Mephody. 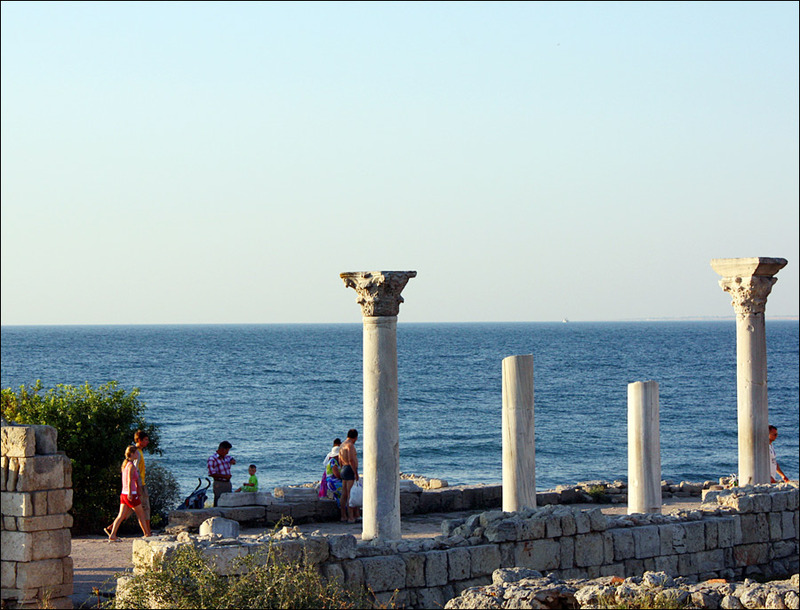 To the west of the city, the remains of the ancient Greek colony of Chersonesus (founded in 421 BC) can be found. 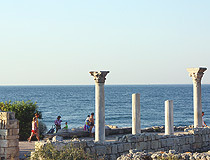 Chersonesus was the part of the Kingdom of Pontus, of the Crimean Bosporus, of the Roman Empire, and of the Byzantine Empire. In 988 or 989, Prince Vladimir of Kiev captured the town and was baptized there. Later, the town passed to the Empire of Trebizond and declined. In 1783, Russia captured the Crimea and began construction of a naval base and a fortress, which was named Sevastopol. Since 1804, Sevastopol was the main naval base of Russia in the Black Sea. In 1808, a trade port was opened. From October 1854 to September 1855, during the Crimean War (1853-1856), British-French armies besieged the town. According to the Paris Peace Treaty of 1856, it was declared to be a demilitarized town. Sevastopol was reconstructed after the Crimean War and, by 1871, it became the Russian naval base again. The growth was stimulated by the railway that reached the town in 1875. The transfer of the commercial harbor to Feodosiya in 1894, however, was a serious setback. During the World War II, Sevastopol was under siege again (June-July 1942). During 250 days, the city was defended by locals together with the Soviet Army troops and the Soviet Navy forces. 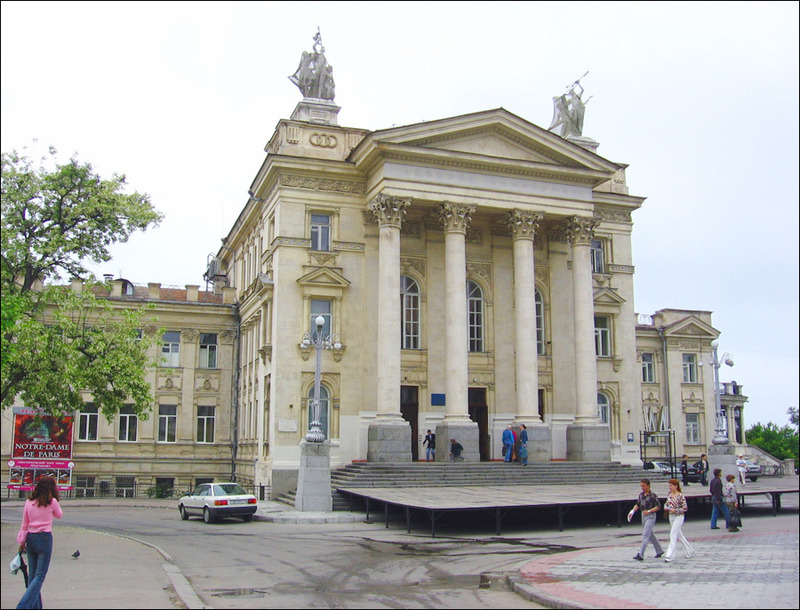 It was reduced to rubble, but, after liberation in May 1944, the city was reconstructed again. In 1965, it received the status of the Hero-city. 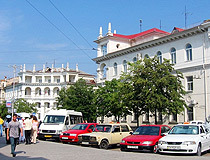 During the Soviet times, Sevastopol was a “closed city”. 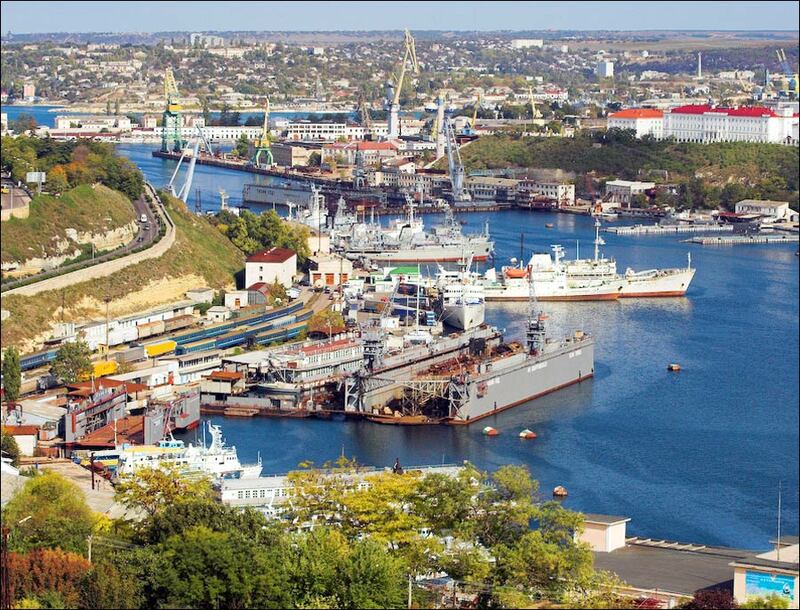 The Decree of Ukrainian Government of 1995 “opened” the city and allowed foreigners and foreign ships to come here. The territory, where the central part of Sevastopol is located, is mountainous with a large number of deep well protected bays. This area has almost subtropical climate. There are a lot of sand and pebble beaches. Sevastopol has about 1,800 historic monuments and memorials - for example, the world famous Chersonese Taurica, the Panorama of the Heroic Defense of Sevastopol in 1854-1855, the Crimean War Memorial. 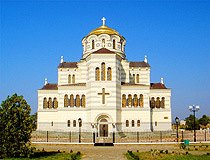 St. Vladimir Cathedral in Chersonese. 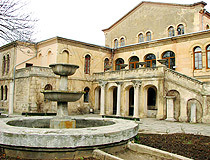 It is the largest cathedral in the Crimea located on the territory of “Chersonese” archaeological museum. In 1924, the cathedral was closed, and, during the Second World War, it was destroyed. In 2001, the church was reopened after restoration. Drevnaya Street, 1. St. Vladimir (Admiralty) Cathedral. It is the church-tomb of the Russian admirals M. Lazarev, V. Kornilov, V. Istomin, P. Nakhimov. The monumental building of the cathedral was built in the Byzantine style. In 1932, the church was closed. The service was resumed in 1991. Suvorov Street, 3. The Intercession Cathedral. The cathedral was built in 1905. The outer side of the building is richly decorated with mosaics. In Soviet times, the building was used as a gym and, later, as an archive. The service was resumed in 1992. Bolshaya Morskaya Street, 36. The Church of St. Nicholas. This memorial church is located on the cemetery of the participants of Sevastopol defense of 1854-1855. It was built on people’s donations. The church stands out for its unusual architecture - it is a pyramid topped by a cross. On the outer edges of the church, you can see the marble plaques with the lists of the regiments defended Sevastopol in the Crimean War. Bogdanov Street, 43. The Church of Peter and Paul. This church is located on a hill in the center of Sevastopol. 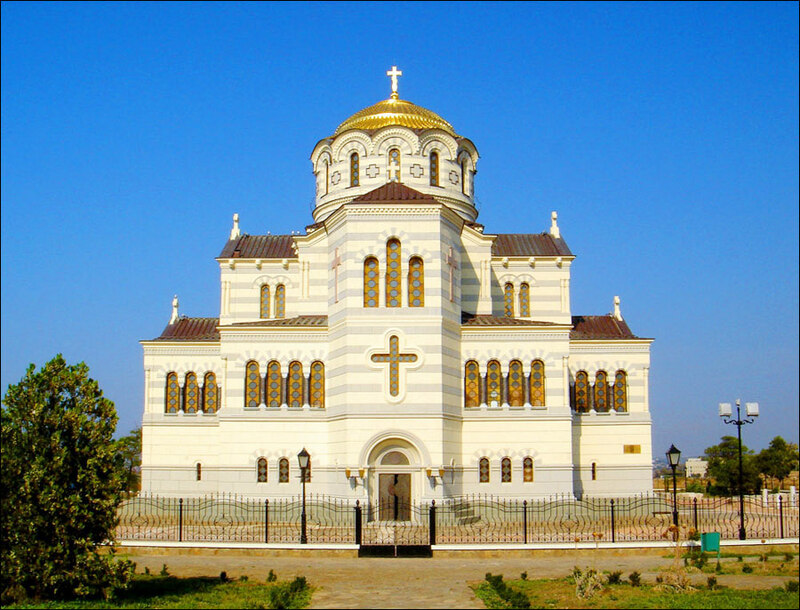 It is an interesting example of using antique architecture in the construction of an Orthodox church. It looks like the Athenian Parthenon. 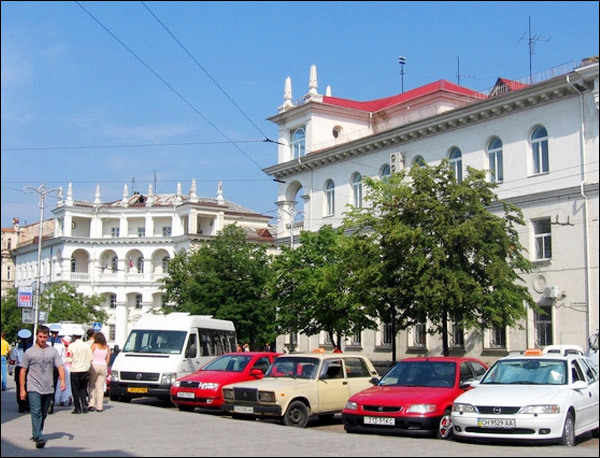 The initiator of the construction was Admiral M. Lazarev, a great admirer of antique architecture. Lunacharsky Street, 37. The Church of All Saints. 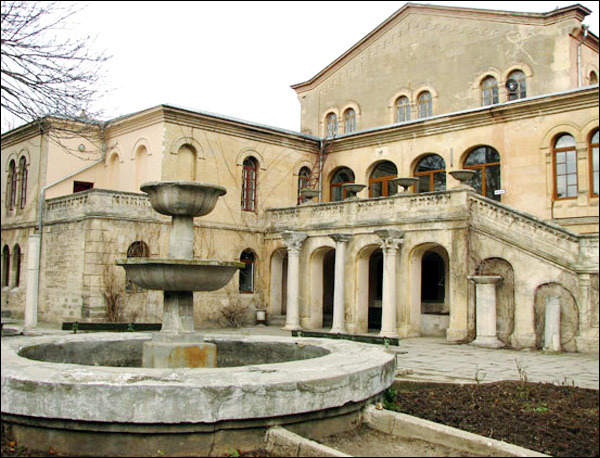 It is the oldest building in Sevastopol, located in the old cemetery in Zagorodnaya balka. In 1859, the church was rebuilt after destruction during the Crimean War. For a long time, it was the only functioning church in Sevastopol. Pozharov Street, 9-a. The Museum of the Black Sea Fleet History. The museum was founded on the initiative of the veterans of Sevastopol defense (1854-1855) in 1869. It is located in the house of General E. Totleben - one of the heads of the defense. On the main facade of the building, there is a famous “Sevastopol sign”: the cross and the number 349 (the number of days of defense). Seven halls of the museum are devoted to the history of the Black Sea Fleet from the 18th to the 20th century. More than 30 thousand exhibits are presented (models of warships, personal belongings of commanders, etc). Naval guns, anchors and other ship equipment are installed in the yard of the museum. Lenin Street, 11. Opening hours: 10:00-17:30, day off - Monday, Tuesday. The Panorama of Sevastopol Defense. The construction of the museum complex on a hill overlooking the South Bay began in the late 19th century on the site of the bastion #4. During the Crimean War, it was the main line of southern fortifications. Inside, you can find the grand painting (1,600 square meters) showing the storm of Sevastopol in June 6, 1855. The author of the painting is F. Roubaud. Historical Boulevard, 10. Opening hours: 9:30-16:00, day off - Monday. Chersonese. This historical and archaeological museum is created in the excavation site of the ancient and medieval town of Chersonese. In the 3rd-2nd centuries BC, first fortifications with 24 towers (10-15 meters height), more than 30 streets and a large number of houses were constructed. The central part of the town was occupied by an acropolis, agora, theater, and temples. The remains of the basilica with mosaics, and columns of the 5th-10th centuries survived. Today, theater festivals are held on the stage of the ancient theater (the 3rd century). Drevnaya Street, 1. Opening hours: 9:00-18:00 (winter – 9:00-17:00), day off - Monday. Malakhov Kurgan. 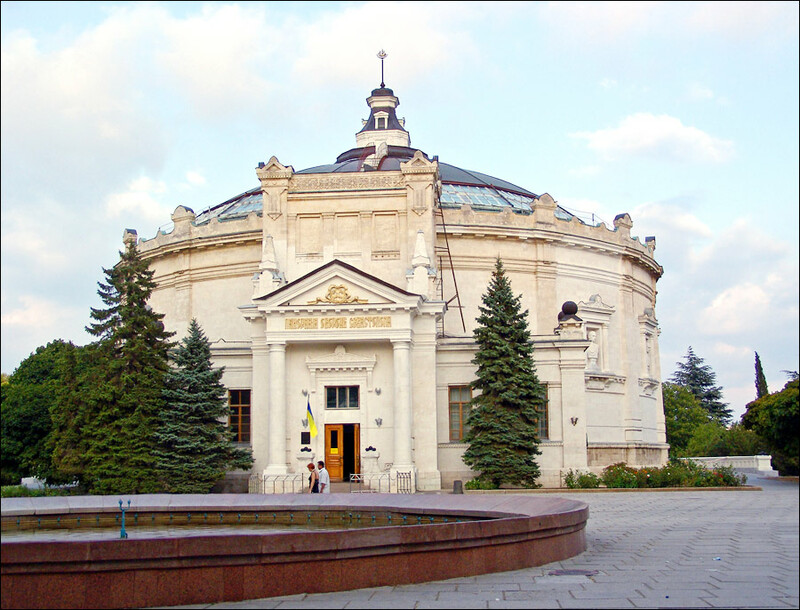 The museum complex on Malakhov hill was opened on the site of the most fierce fighting that took place during the Crimean War and the Second World War. At the beginning of the main alley, you can see the mass grave of Russian and French soldiers and the monument to Kornilov. Istomin Street. Opening hours: 9:00-16:00, day off - Monday. Michael’s Battery. This historic military complex is located on the northern coast of Sevastopol Bay. The museum was opened in the 19th century fortification of Sevastopol fortress in 2010. The fort was restored and the exhibition “Heroic Sevastopol” was opened here. Various weapons (from knives to machine guns), more than 60 uniforms, the ship’s guns, personal belongings, unique letters, books, and documents are presented. Gromov Street. Opening hours: 10:00-18:00. The Museum of Art. Sevastopol Art Museum named after M. Kroshitsky was based on private collections of the southern coast of the Crimea and the collection from the summer residence of the Russian Emperor located in the Livadia Palace. During the Second World War, most art treasures were saved thanks to the efforts of the Director of the Gallery M. Kroshitsky. Today, the museum has more than 8 thousand paintings, drawings, sculpture and decorative arts. Nakhimov Avenue, 9. Opening hours: 10:00-17:00 (in summer - 11:00-18:00), day off - Tuesday. The Monument to the Sunk Ships. 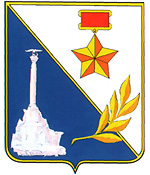 It is the most famous monument in Sevastopol, depicted on the coat of arms of the city. This graceful column with a Corinthian head, topped by a bronze eagle, is installed on an artificial rock in the sea on the fiftieth anniversary of the first defense of the city in 1905. It perpetuates the memory of more than fifteen ships sunk in 1854-1855 to prevent the entrance of the English-French fleet into the North Bay. Fire of coastal batteries and sunken ships made the North Bay inaccessible for the enemy fleet. Primorsky Boulevard. Sapun Hill. 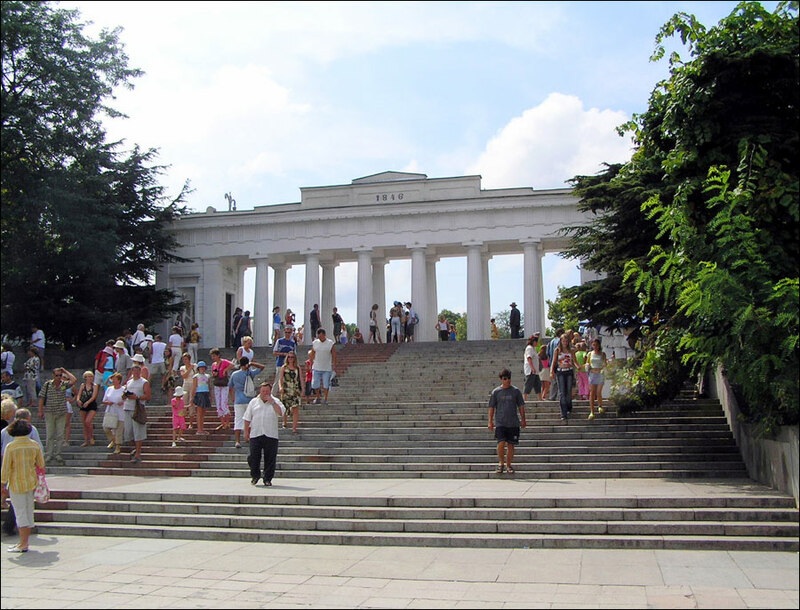 This memorial complex is devoted to the heroes of Sevastopol defense in 1941-1942 and its liberation in 1944. On the first floor of the semicircular building of the museum, you can see the diorama “The Storm of Sapun Hill on May 7, 1944”. Also, the collection of Soviet military equipment of the Second World War times is located here. General Melnik Street. Opening hours: 9:00-17:00, day off - Monday. The Memorial of Sevastopol Defense. The memorial of the heroic defense of Sevastopol in 1941-1942 was erected in the main square of the city in front of the monument to P. Nakhimov in 1967. 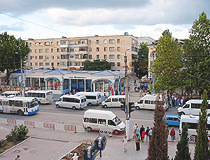 Nakhimov Square. Sevastopol Fortress. The construction of fortifications defending Sevastopol from the sea began on the orders of A. Suvorov before the foundation of the city itself in 1778. It was finished only in the beginning of the war in 1854. The historic military complex “Michael’s battery” is open in Michael’s fort (North side, Gromov Street). The 35th Battery. The 35th guards coastal battery (the fort “Maxim Gorky”) was founded in 1913, and completed and put into operation as a separate military unit in 1929. It was the heaviest fortification in the USSR; its construction took about as much concrete as the construction of Zaporozhye hydro power plant. The 35th battery main purpose was to defend Sevastopol from the sea. Almost all constructions of the complex were placed under the ground. In June and July 1942, it was the place where 80 thousand defenders of Sevastopol took their last fight. The excursion takes place at a depth of 5 to 20 meters. Kazachye village, the Defenders of the 35th Battery Street. Opening hours: 14:00-17:00 (Saturday, Sunday - 10:00-17:00), days off - Monday, Tuesday. The eco-park “Lukomorye”. The playground “Lukomorye” offers a plunge into the fantastic atmosphere of fairy tales. You can walk among the sculptures of fairy-tale characters, visit a small zoo, the museum of Soviet childhood, the puppet show “Lukomorye”, the museum of marmalade and the museum of Indian culture. 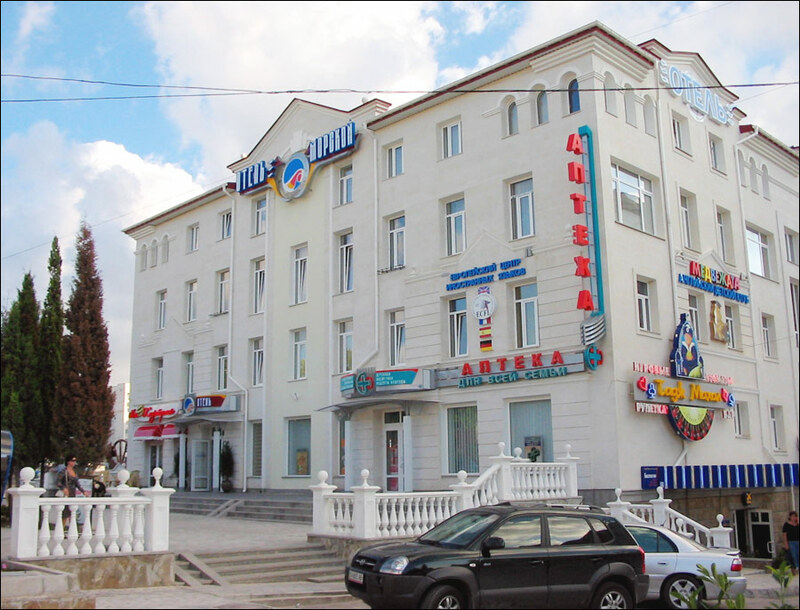 Pobeda Avenue., 1-a. Opening hours: 8:00 - 23:00. The Water Park “Zurbagan”. This is a fairly large water park: 15 slides (height up to 14 meters) and 7 swimming pools, waterfalls. Also, there are several cafes and bars. Pobeda Park. Opening hours: 10:00-18:00. The Dolphinarium in Artillery Bay. The main dolphinarium of Sevastopol is located in the center. Visitors can swim with dolphins in a special pool under the guidance of an experienced instructor. On the territory of the dolphinarium, you can visit an exhibition of parrots. 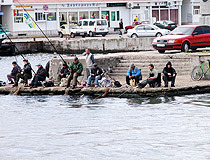 Kornilov Seafront, 2. Opening hours: 11:00-17:00 (winter: 11:00-14:00), day off - Monday. The Dolphinarium in Cossack Bay. The dolphinarium was opened in the midst of the “cold war” as the Aquarium of the Soviet Navy - the secret base for scientific research on marine animals and training of combat dolphins. The animals were trained to find torpedoes, mines and other sunken military equipment, and to defend the naval base. The dolphinarium is open to public from early June to mid September. Epronovskaya Street, 7.Opening hours: shows: 11:00, 14:00. The Aquarium. The building of the Institute of Biology of Southern Seas named after A. Kovalevsky is located in the center, on the shore of Artillery Bay. 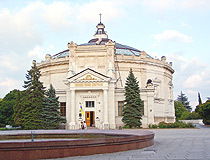 In 1897, the first in the Russian Empire aquarium with marine animals was opened here. Today, more than 180 species of animals are presented in four halls. Nakhimov Avenue, 2. Opening hours: 9:00-19:00 (winter - 10:00-17:00), day off - Monday. The Count’s Quay. It is the main sea gates of Sevastopol. The white colonnade and the stairs are the main elements. A lot of excursion boats can be found here. The main square of the city (Nakhimov Square) with the monument to Admiral Nakhimov is located nearby. Primorsky Boulevard. The shady park of Primorsky Boulevard is a favorite place of local residents and guests of Sevastopol. The boulevard, founded in 1885, was built on the site of Nicholas battery destroyed during the Crimean War. In 1905, to commemorate the 50th anniversary of the defense of Sevastopol, the monument to the Sunken Ships was erected. The Tower of the Winds. The construction is a copy of an ancient Greek building located in Athens. The tower was built on the initiative of Admiral M. Lazarev in 1849. Its main purpose was to ventilate the Maritime Library book depositaries burnt during the siege of Sevastopol in 1855. Frunze Street, 5. The Drama Theater. The theater was opened in 1956. 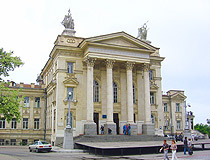 The present building was constructed to replace the one destroyed during the Second World War. 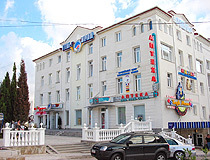 Nakhimov Street, 6. 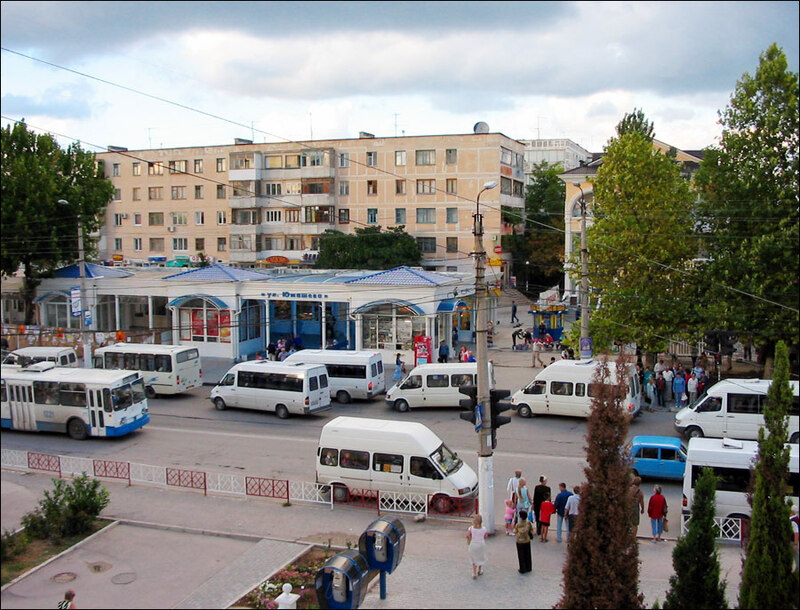 Christopher asks: Can I visit Sevastopol if I orginate from England? You need to get a special permit to enter and exit Crimea through special control check-points, and it is not issued to anyone. More info can be found on the site of Ukrainian embassy in the UK. Your city is so incredible. I only wish I could visit or even live there. I can't afford to, unfortunately. You have some of the greatest history, historical sites, museums and a very large amount of people who are strong, intelligent and from what little interaction I've had, so friendly it embarrasses me to look at my fellow Americans. You see, you all are just an amazing people in a very amazing land. May Sevastopol and all Ukraine flourish forever and her peoples all enjoy the best of health and life! I salute you all.